A Tile and Place for Everything | Create. Communicate. Connect. My favorite view of the Magic Gardens – look at those gorgeous layers. 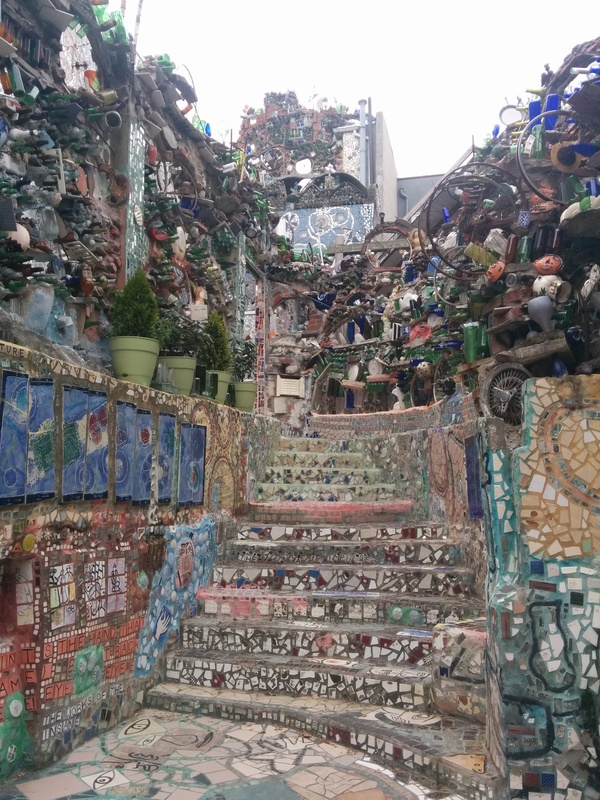 I recently had an amazing time visiting Philadelphia’s Magic Gardens with my Philadelphia Young Playwrights Ed Staff, where we were inspired by the work and process of creator Isaiah Zagar. On our guided tour (which I highly recommend), we learned that when Zagar creates his mural mosaics, he pulls tiles out of his bucket at random because he believes, “Whatever tile you pick that’s the perfect tile. Wherever you put the tile that’s the perfect place.” As a group of educators who mentor students through the playwriting process, this philosophy deeply resonated with us. At the end of the tour, we all got our hands dirty as our wonderful tour guide Olivia led us through Zagar’s process of creating doily tiles out of clay. 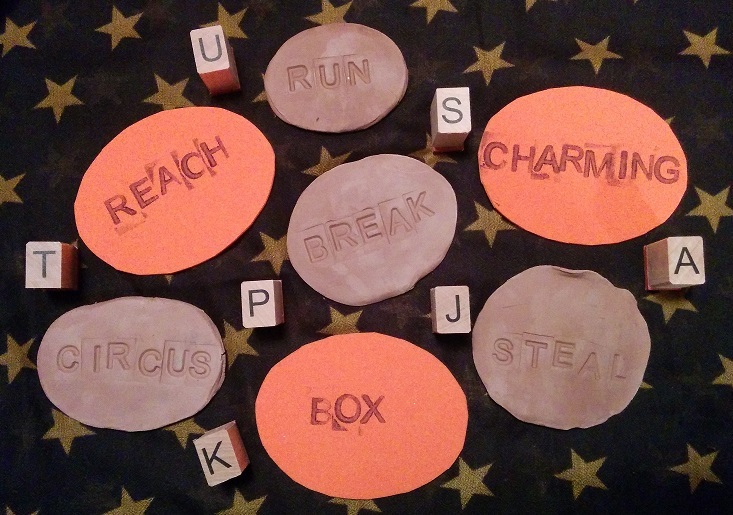 As I rolled the clay into a ball and smacked it against the table, I knew had to be at least one writing exercise in this experience somewhere. Something that brought the tiles we were making and Zagar’s philosophy about artistic serendipity into the writer’s process. After taking some time to experiment and reflect, I bring to you my latest concoction: A Tile and Place for Everything! As you’ll see, this activity is meant for classes and workshops rather than for individual writers to do on their own. But what better excuse for you to bring a group of writers together for some creative community? To help warm-up participants’ minds and vocabularies before doing the activity below, I suggest playing a few rounds of Word Association or another word-based game. I feel like this is an activity that can be adapted or remixed in so many ways – if you try an adaptation, I encourage your version of this activity in the comments! Remember, whenever I post an activity, prompt, or guiding writing exercise in the Support For Writers section of my site, I will always write a blog post about the activity as well. That way, if you follow my blog you’ll always know when new exercises become available.